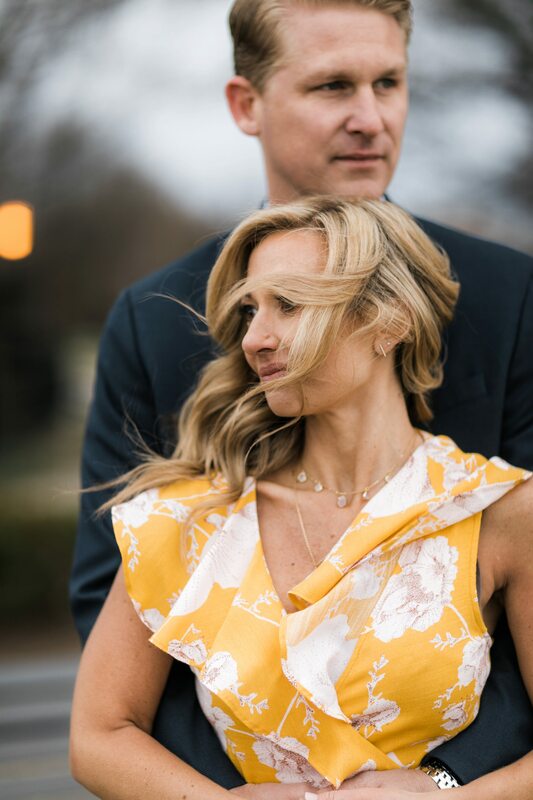 Whenever you schedule a shoot so far in advance you’re taking a gamble with the weather. 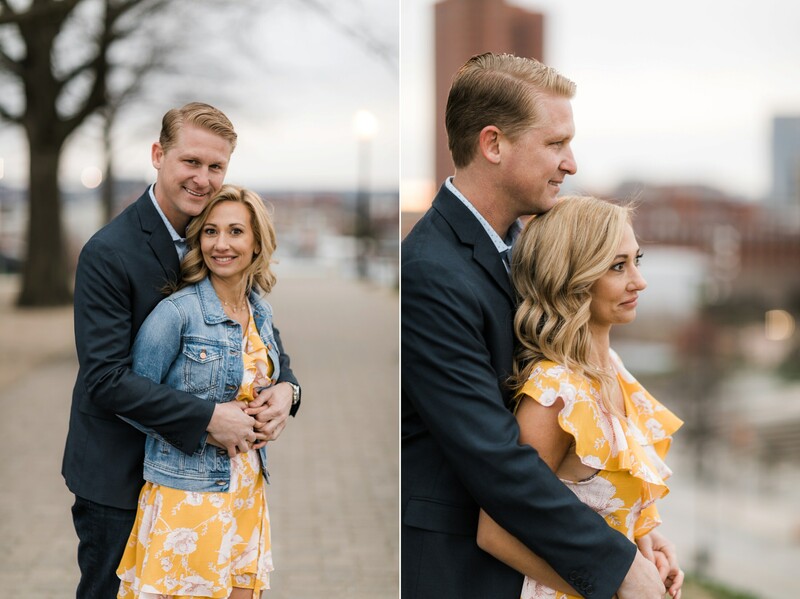 As wedding photographers, we’re used to this and shooting in all conditions. 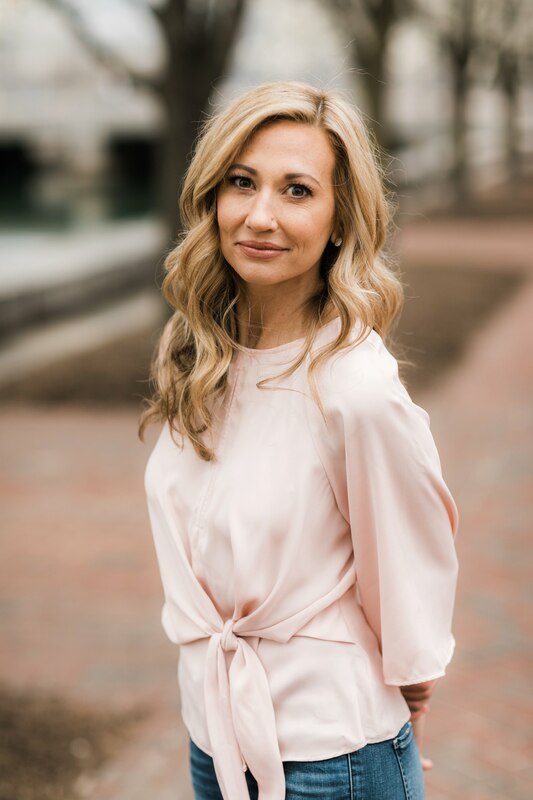 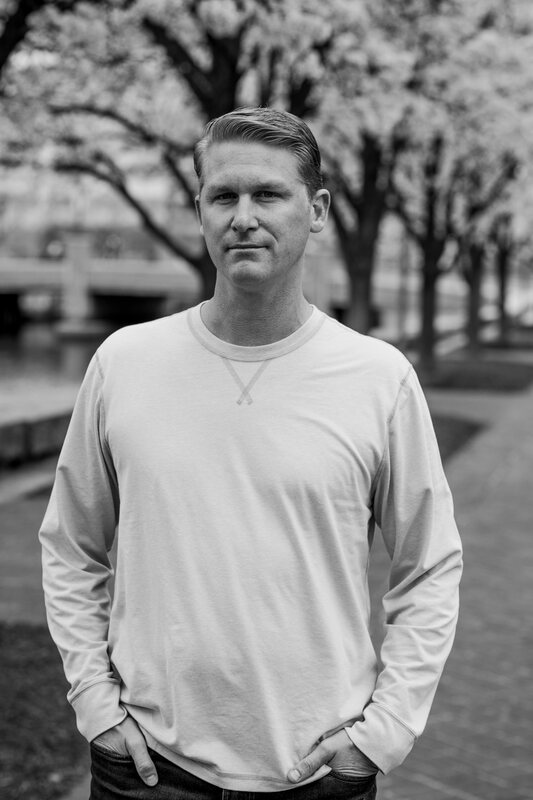 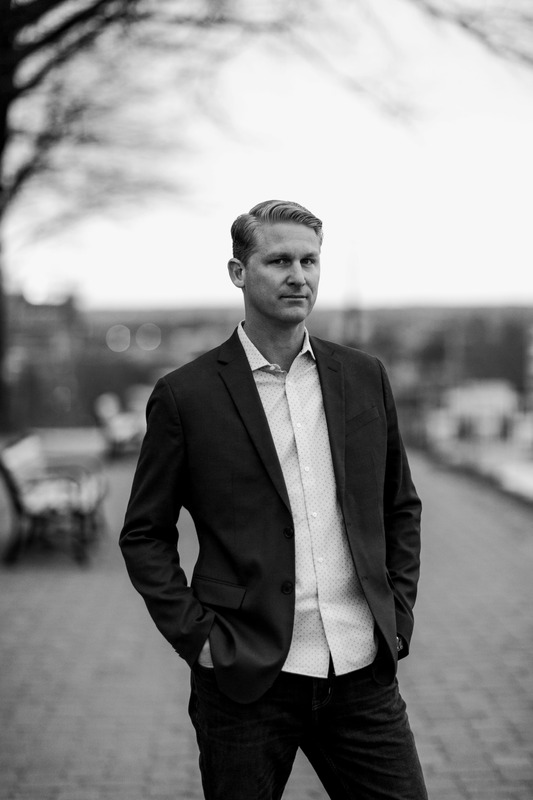 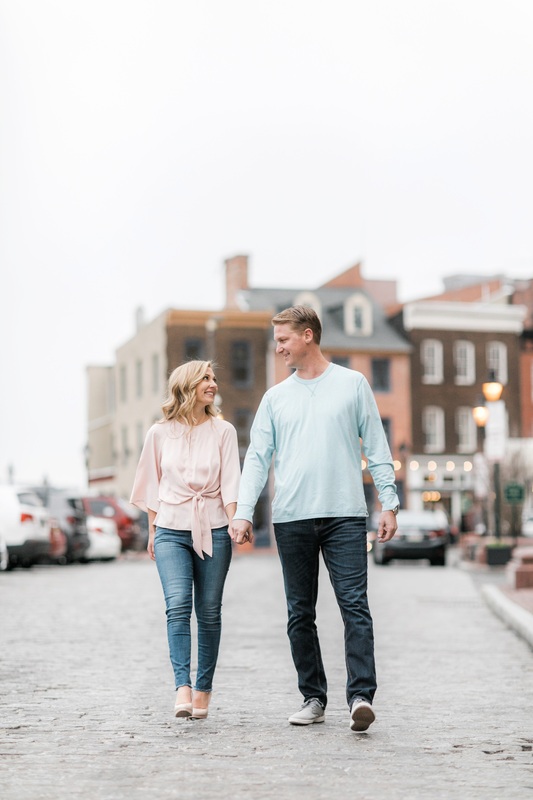 But when it comes to engagement sessions, we usually have the luxury of rescheduling if the weather doesn’t look promising. 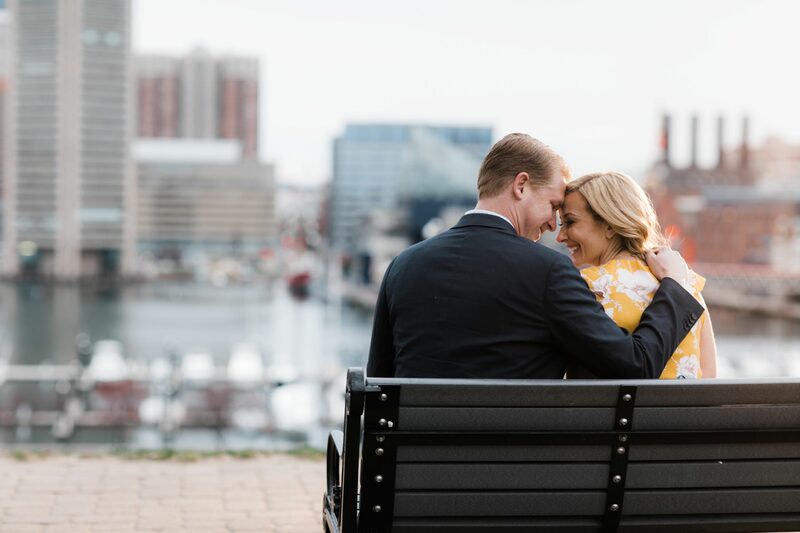 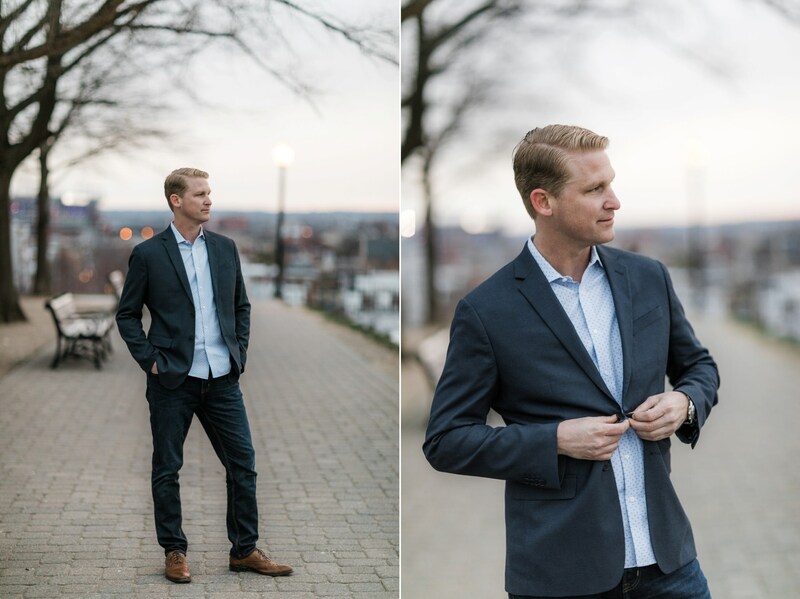 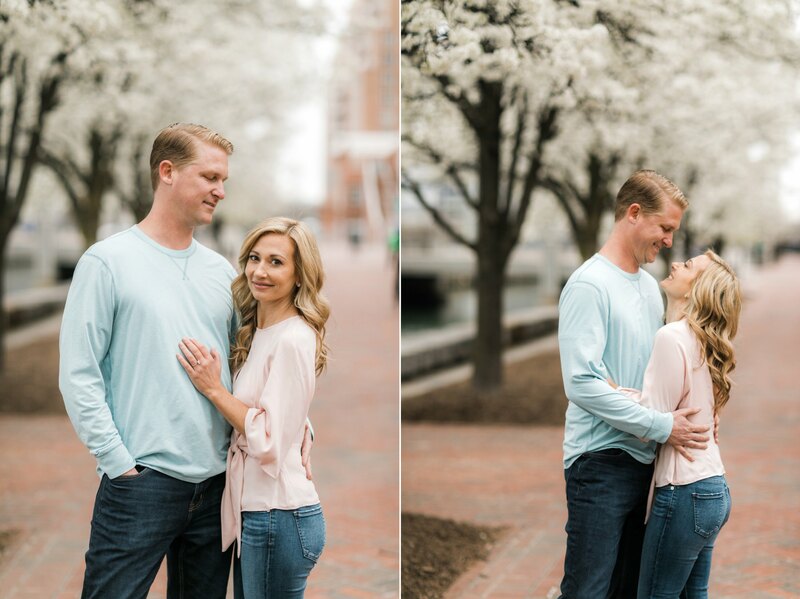 That wasn’t the case with Katie & Eric’s session as we had to fly down to Baltimore and booked it months in advance. 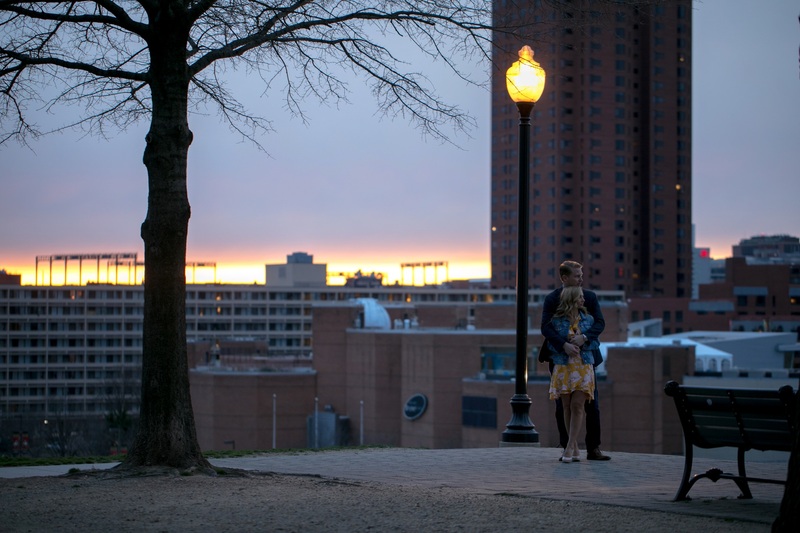 As the months, weeks, and days passed, the weather became more and more of a concern. 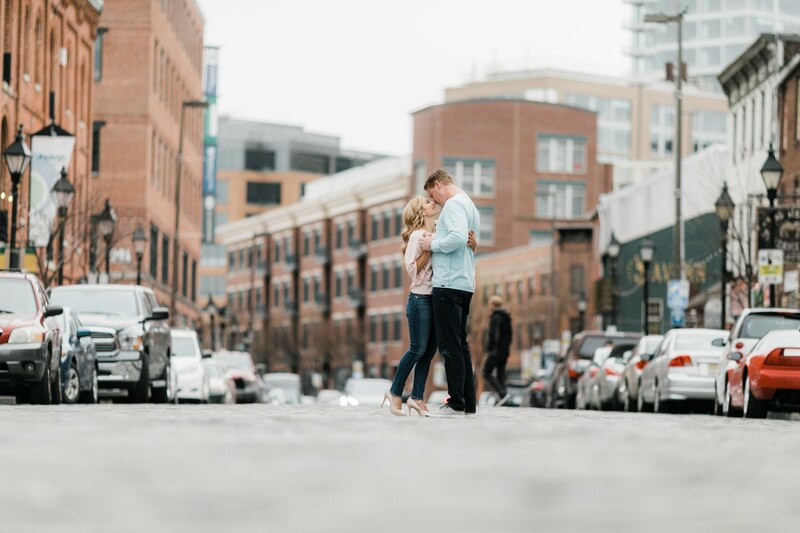 The weather forecast was so bad that the day before our session we asked Katie about the possibility of a Sunday morning shoot. 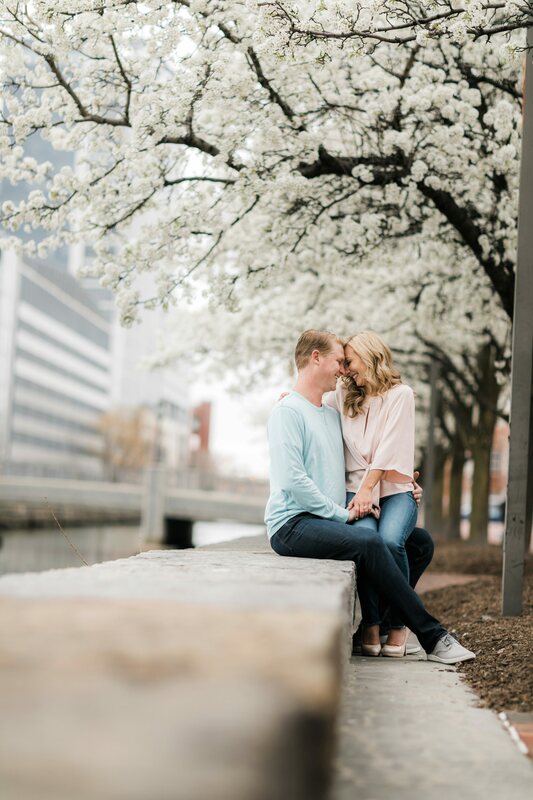 Luckily though, the inclement weather changed to overcast skies and the session went off without too many issues (if you don’t count the cold)! 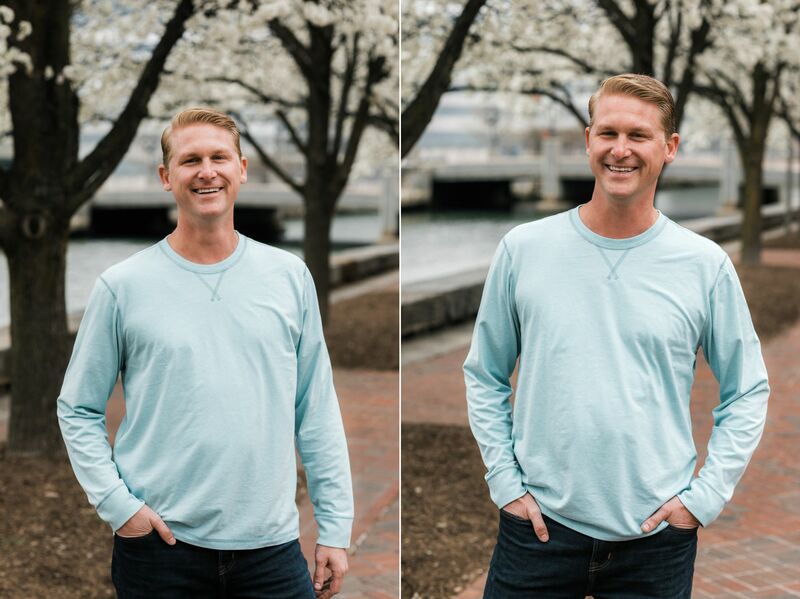 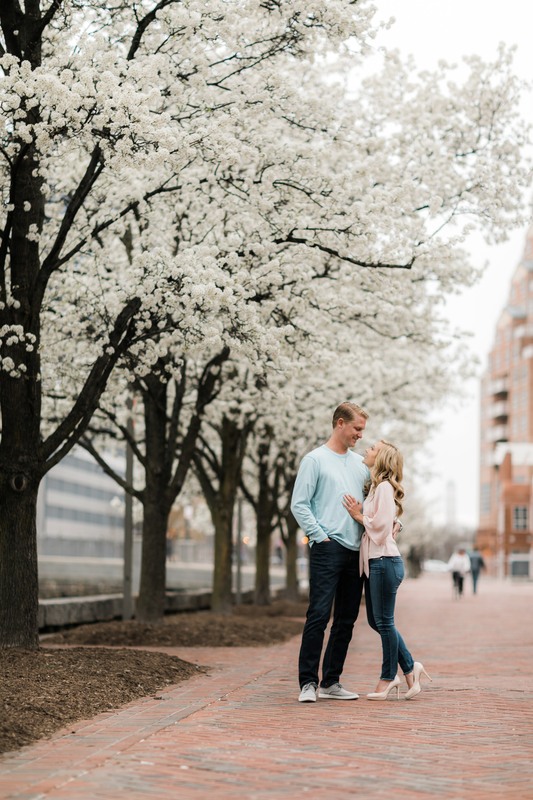 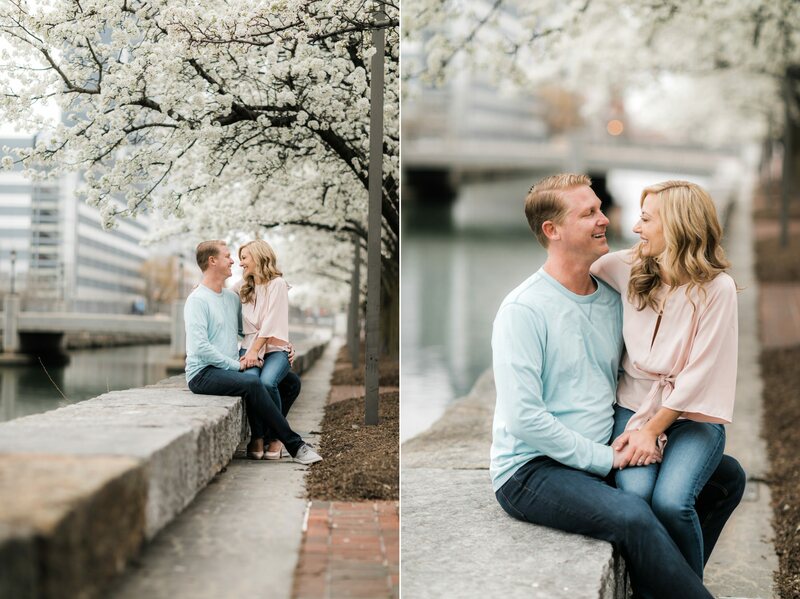 We started the session in Baltimore’s Inner Harbor and got lucky with a row of Cherry Blossom trees that had bloomed. 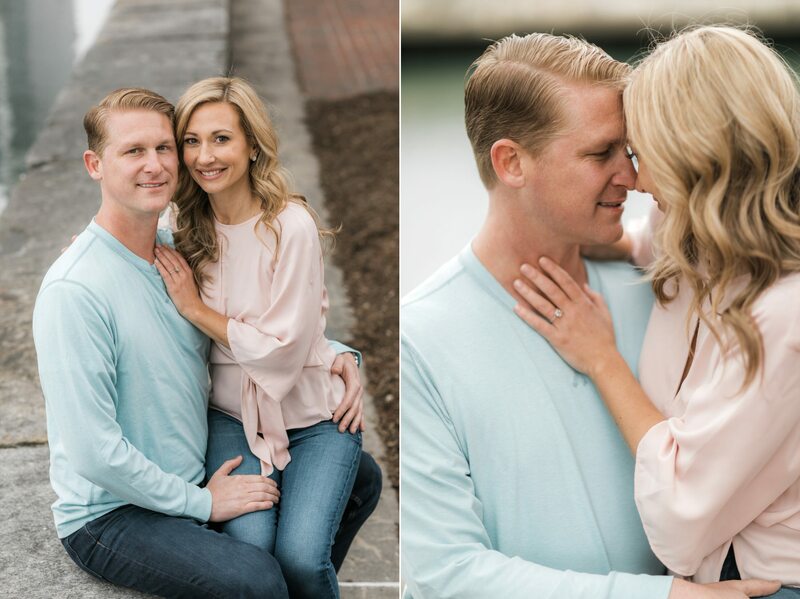 We spent a good portion of the session there and as you can see, it was well worth it! 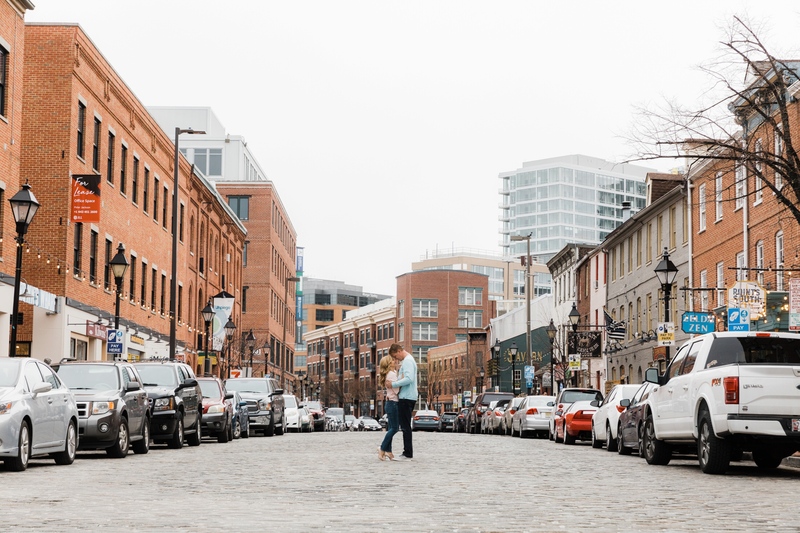 We then hopped in an Uber and headed to Fells Point where we shot aroun the cobblestone streets, a place Katie used to call home for a few years. 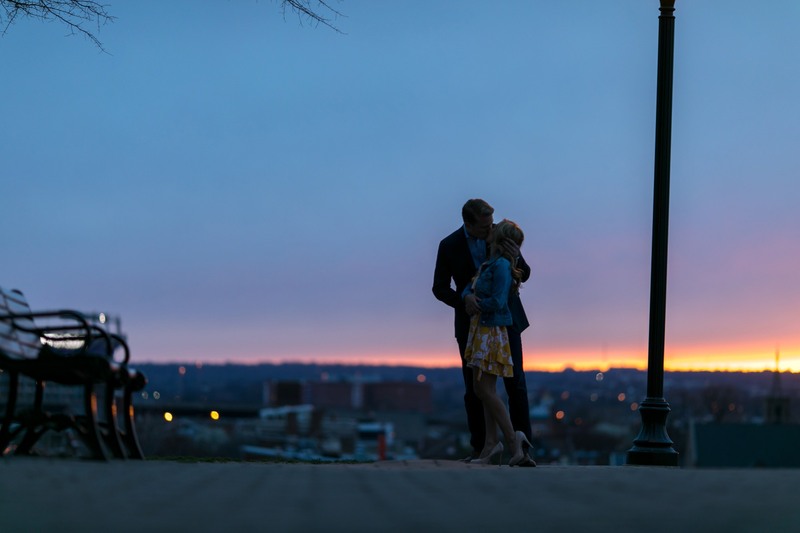 Katie and Eric changed and we spent the final parts of the session up at Federal Hill. 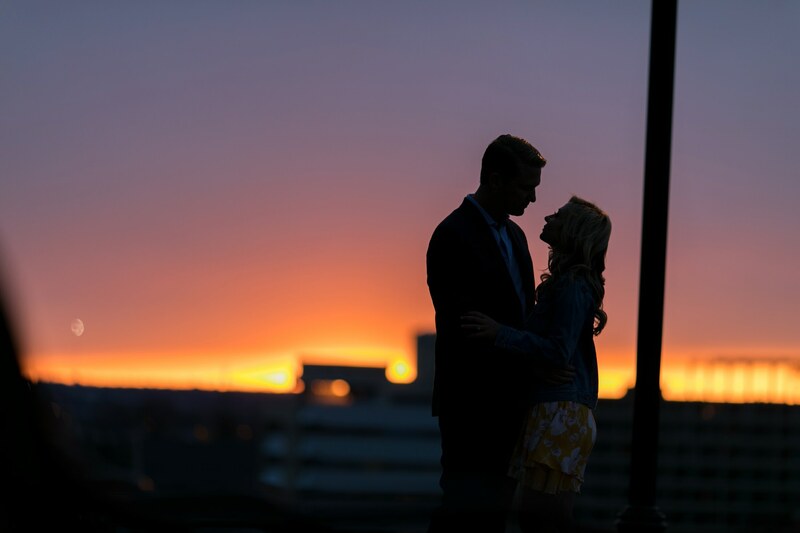 And as luck would have it, just as the sun was setting, the clouds parted just enough for us to get a few epic sunset shots. 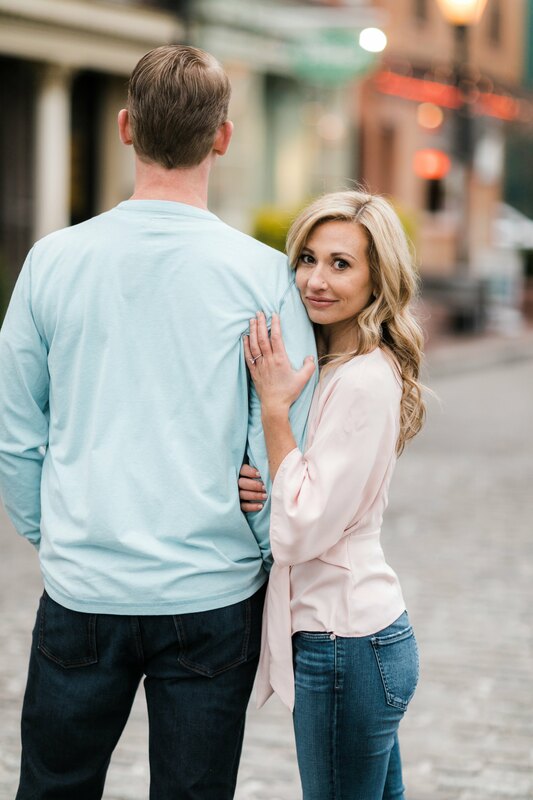 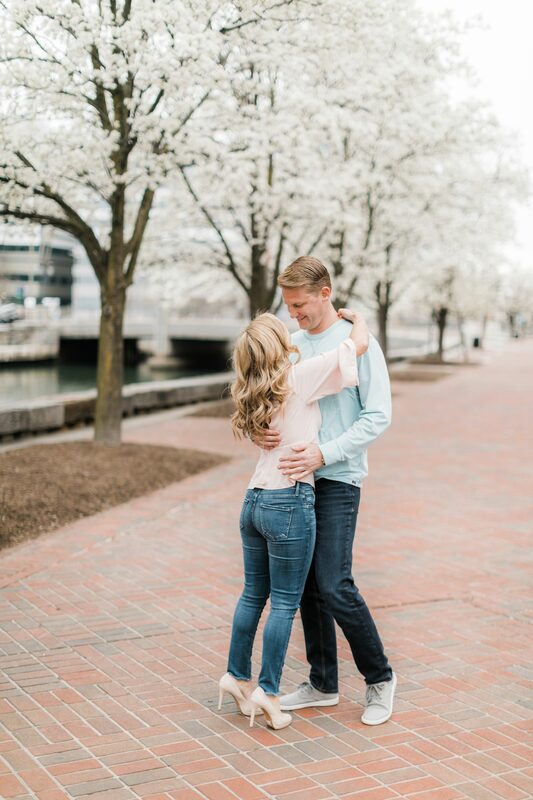 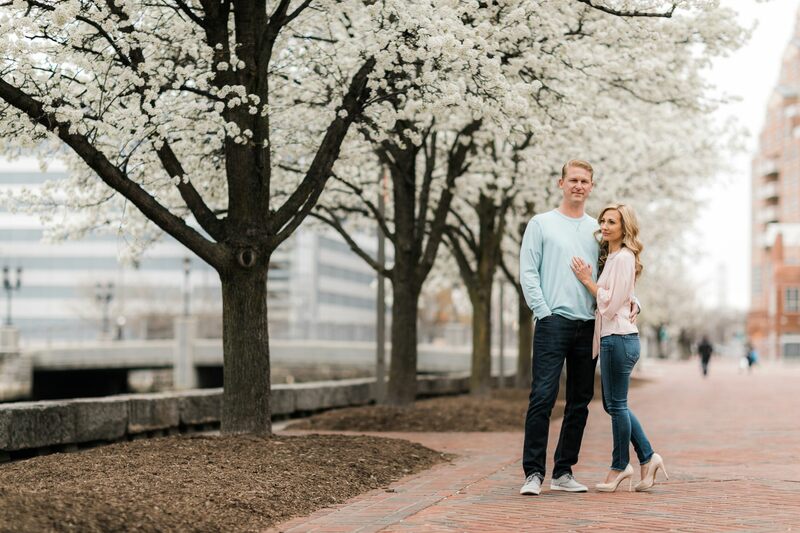 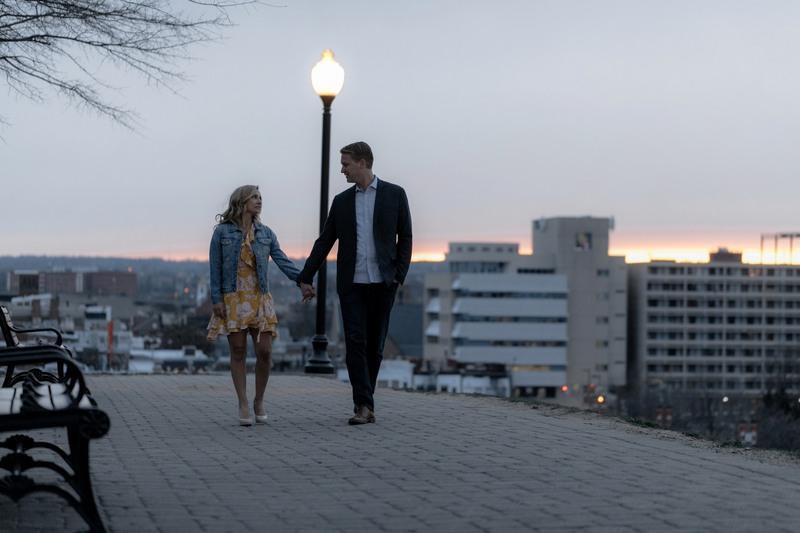 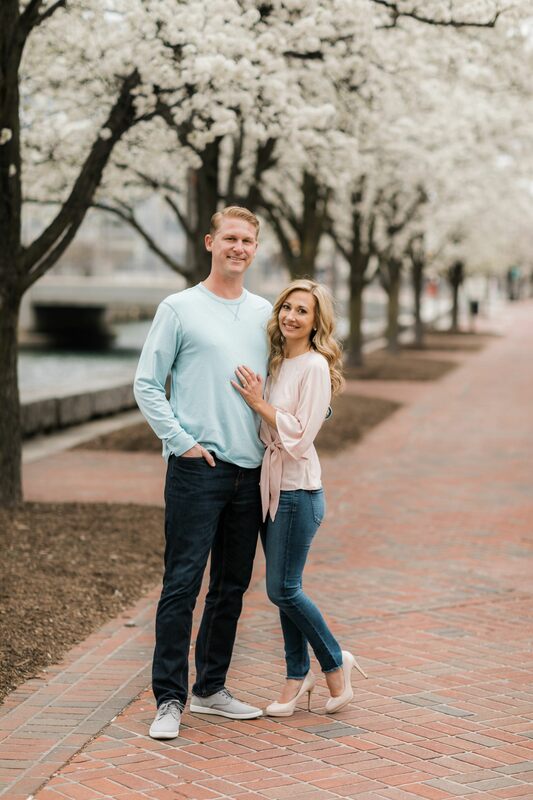 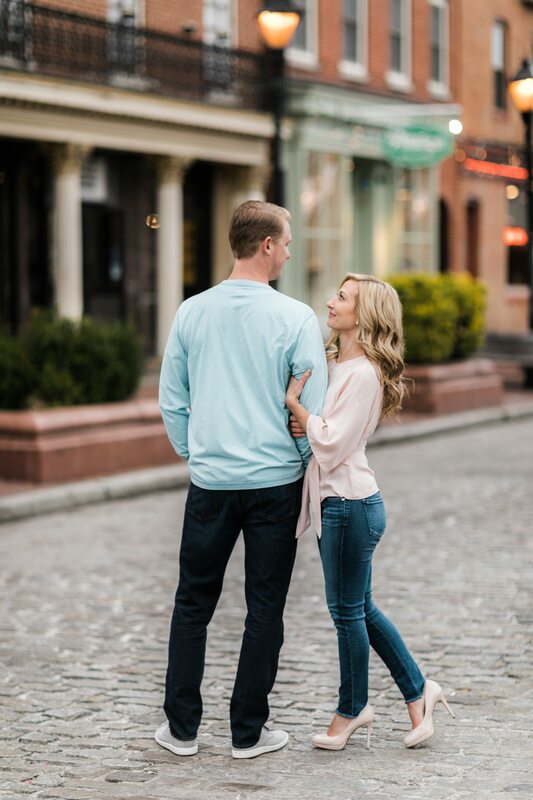  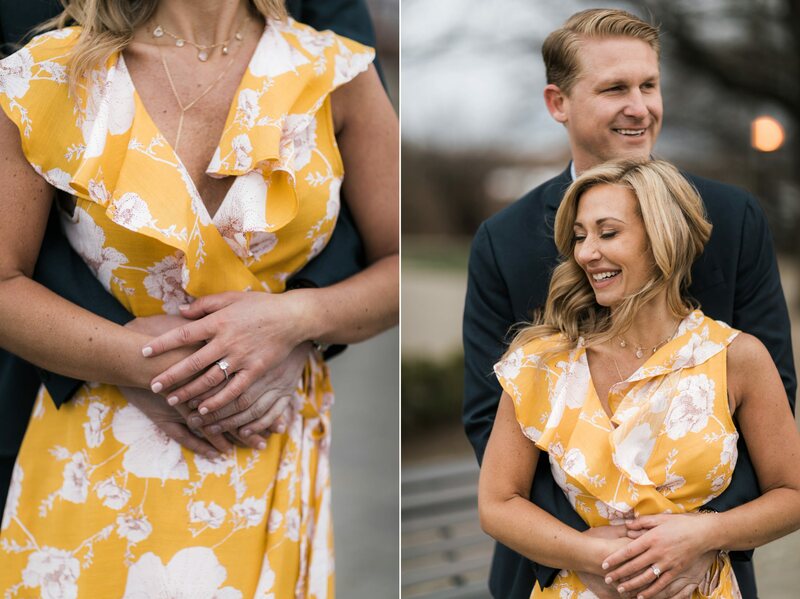 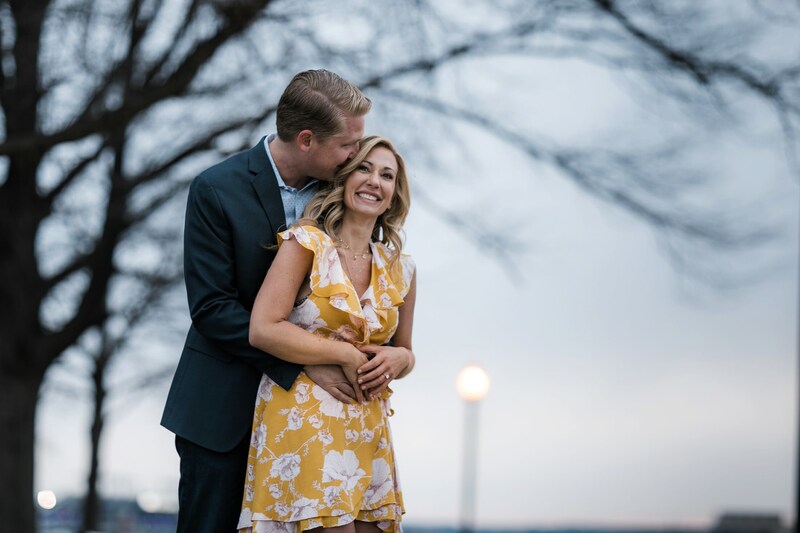 Katie and Eric, you guys were so much fun and such great sports – we absolutely can not wait until September when we get to be part of your big day!